Also it says NOTHING about 2 ideas that would be close and the later on being DQed... so its up to the professional witch one they may like to do more? We are looking in to the resident stationed elsewhere part. As soon as we hear something we will post back. I understand that my question is inconsequential for the mod suggestion community and only really applies to the modders themselves, but I would like to know what the winning modder of the competition (in terms of the modder, not the suggester) wins. Places 2-5 get to keep the mod they built, but the winner does not?!? Likewise, the winner of the mod (as per the person who suggested the winning mod), I'm guessing, will yield his identity to being in various publications advertising the capabilities of the board through the use of the mod's image and the owner's image. I really don't mind about this, but it might be important to note this, as this is an advertising stunt (in all honesty). 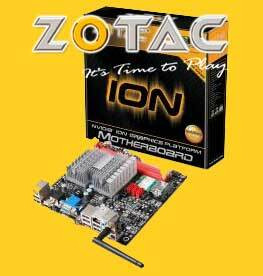 Thanks for a great contest, and I look forward to a wide variety of different styles and demonstration of the advantages of the Zotac ION board. Kudos. The winner (1st Place) Will have his design chosen and built by the builders, then the winner gets to keep his/her design. the first 4 runner ups get that bundle of the Mobo, Sims 3, and some in game cash thing for the new battlefield game. The rest of the total 20 winners get free subscriptions to the CPU magazine, which will also announce the winner publicly in December. The winning modder gets featured in CPU magazine, here, and I am thinking the NVIDIA ION mod site. Plus he get $1500 USD from CPU Mag. as this is an advertising stunt (in all honesty). We are looking in to the resident stationed elsewhere part.